Our title Fibre Systems is the leading print magazine in the field of optical communications, an industry that has been through many changes, particularly over the last 20 years or so. The increase in mobile networks has had a huge impact on the fibre industry, but not in the way you might think. 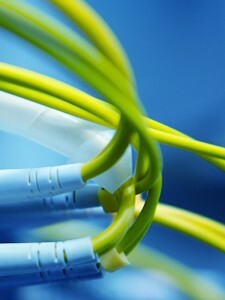 The fibre networks required to support mobile carriers are staggering in their complexity and size. In an increasing number of countries. provision of fibre networks to the home and business is now a government-led issue, while the rise of the data centre has provided yet more market opportunities for the optical communications industry. Our experienced sales and editorial team has a deep understanding of this cutting-edge market, enabling us to ask the right questions of you to help define your marketing goals, and develop a plan to deliver those goals successfully. We understand the breadth of technologies, applications and skills throughout the optical communications sector in a way that a more general marketing, PR or publishing company could never do. Whether your requirements for marketing in the optical communications industry involve advertising and promotion through our existing publications, or you need help with contract publishing, content marketing or lead generation, Europa Science is the place to start.